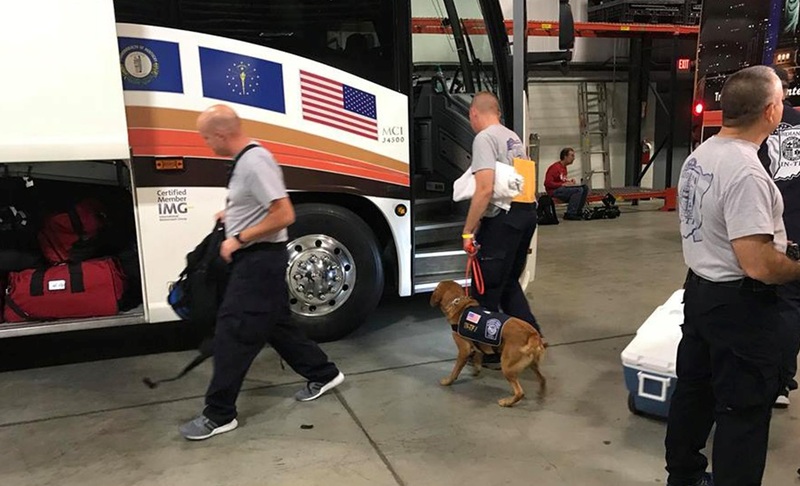 INDIANAPOLIS -- Members of the Indiana Task Force 1 loaded up their gear and left to help as Hurricane Florence takes aim at North Carolina. More than 80 members of the team will head to Raleigh, North Carolina, where FEMA will give them instructions on anything needed. The team is equipped to handle things like water rescues, building collapses and victim searches. They expect they will ride out the storm in North Carolina, then get their assignment. "It can make you a little nervous riding the storm out," Captain Michael Pruitt said. "It rattles and bangs around a little bit, but we're a little used to it and we typically don't put people in harm's way. If we're going to be finding protection there for the storm, then they'll put us in a secure structure where we can do that."